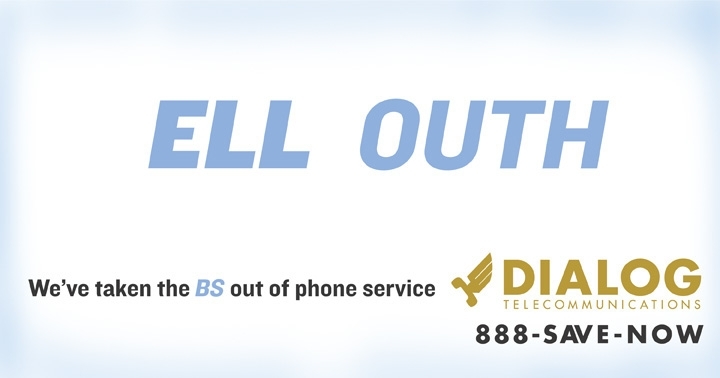 Upon seeing a new Dialog Communications Inc ad campaign running in Western Kentucky claiming they take the BS out of phone service, Bell South has issued a cease and desist order.To avoid the cost of litigation, Dialog has decided not to contest the order, and has begun pulling the advertising. The newspaper, TV, direct mail and outdoor campaign, created by advertising agency BOONE/OAKLEY, Charlotte, features the large headline. "ell outh," and below that, "We take the BS out of phone service. Dialog Telecommunications." It goes on to state that Dialog phone service has "no hidden fees, no extra charges, no BS." MarketingSherpa, in a report about RSS, concludes "It chills our blood when we hear email marketers and publishers blithely state, 'I'm thinking about switching over to RSS entirely!' Oh no. Please don't. RSS is worthy of testing, but it's not an email replacement and it never will be." We'd agree. It's not a replacement but simply another communication channel. Comparing RSS to email, MarketingSherpa offers three drawbacks to RSS and gets all three wrong leading us to believe if the writer has ever used RSS. First, MarketingSherpa claims HTML graphics can't be served through RSS. Wrong. While it does depend on the RSS reader used, any graphic can be served. Any publisher that sets their feed up to serve the full contents (and perhaps even just excepts - check with RSS gurus on this) of the article rather than an excerpt will serve exactly that including any image that is contained within the article. This includes graphic ad banners as well. See Gothamist's feed (http://www.gothamist.com/index.rdf). Using far more words than necessary but still making a good point, Chicago-based media planner Cece Forrester suggest the ad industry embrace PVR ad skipping rather than fighting against it. Citing the shift towards absolute control of content from media companies to consumers and that as skipping has been around forever (i.e. trips to the fridge or bathroom), Forrester writes TiVo should enable viewers to skip, not fast forward through, to the end of any commercial and the beginning of the next. TiVo's competitor, Replay, had a feature, that has since been disabled, which would skip thirty seconds at a time. Forrester's suggestion builds on this claiming ads, like content, should earn the attention of viewers rather than being served using the current force feed method. Attempting to prevent people from bypassing things they don't like is a losing battle. TiVo would be wise to act early and come to terms with this. Taking advantage of the FCC-free Podcast medium, condom maker Durex has made a deal with popular podcast show, Dawn and Drew, a Wisconsin husband and wife podcast team. The deal with the PodcastAlley number 2 ranked podcast involves "unscripted X-rated banter" as reported by Ad Age. Omnicom Group's Fitzgerald & Co. SVP and Chief Media Officer (how's that for a fancy title?) explained approach to the buy to Ad Age, saying, "Nobody wants to get slapped with an FCC fine. ... The thing about condoms is that young adults look at them and are kind of concerned about how they’re going to feel, and they’re a little embarrassed to spend a lot of time in front of the store display. By showing people interacting with the brand makes it seem like something you don’t need to be embarrassed about." A podcast is an audio file that is automatically downloaded to any MP3 player via subscription. Even though one of the first statements on the Dawn and Drew website (and many other podcast related sites) makes clear podcasts are not only for iPods but for any MP3 players, many, including Ad Age, still classify Podcasts as something you download to your iPod.